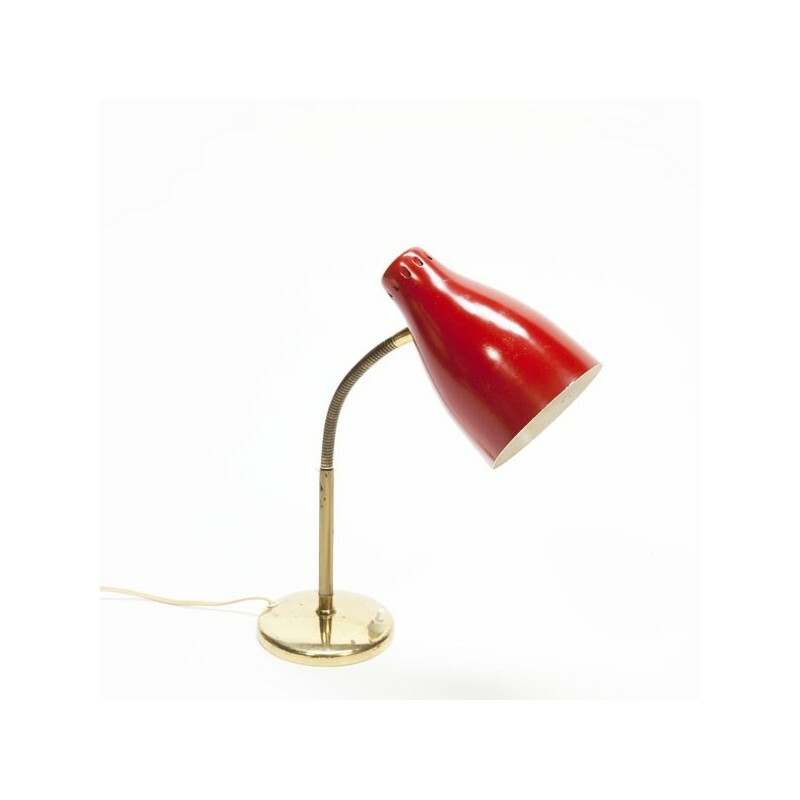 Vintage table lamp with a red cap and brass flexible arm from the late fifties. 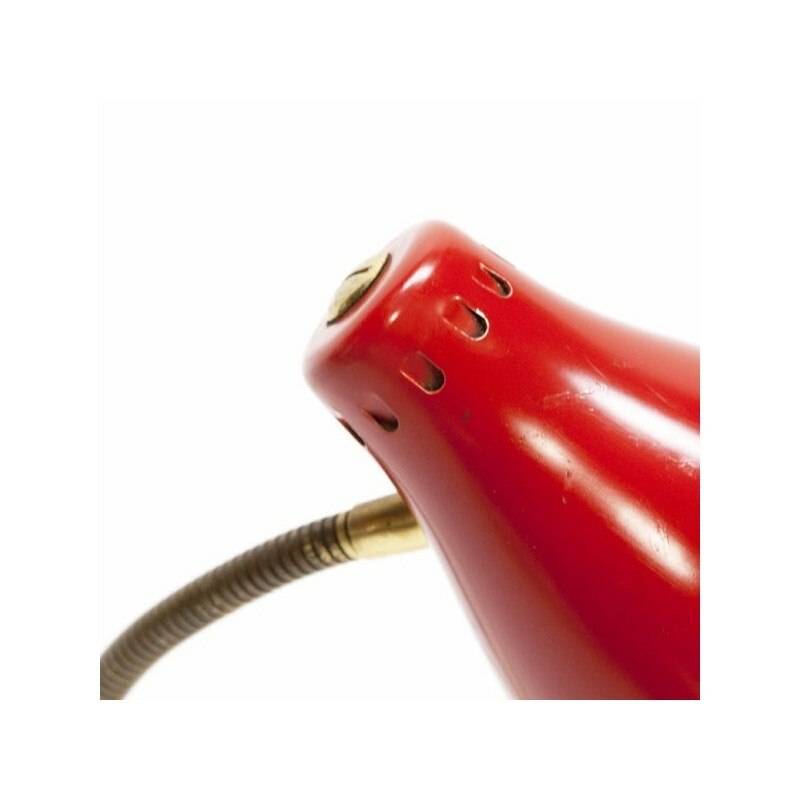 The condition is good considering the age, on the brass are some spots of oxidation, see detailed pictures. The maximum size is 40 cm high and the cap is 11.5 cm in diameter.